Warrior-prince Rama is about to be crowned Young King, when he hears the devastating news that his father, King of Ayodhya, has been tricked into banishing him to the forest. His devoted wife Sita insists on accompanying him in exile, but the evil ten-headed lord Ravana has fallen deeply in love with the beautiful princess and steals her away. Aided by Hanuman, mighty captain of the monkeys, Rama sets out across the world to find her and destroy Ravana in a deadly battle. Rama the Steadfast was composed in the oral tradition in about the fifth century BC and has been retold over the generations ever since. 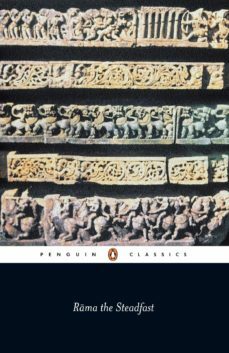 With its fantastical characters ranging from monsters to apes, a very human hero and its profound moral purpose, it is one of the greatest of all Indian tales.